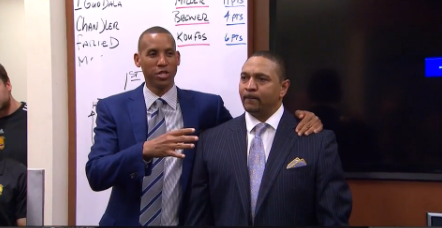 Reggie Miller is a clown, which is something we can all agree on. So naturally, while giving a postgame speech to the Warriors after they did everything they could to give game 6 of their series with the Nuggets to Denver, Miller dipped into the colorful side of his vocabulary. This whole thing was somewhat random but let's roll with it. Here's the videotape. Are the Blue Jays done?